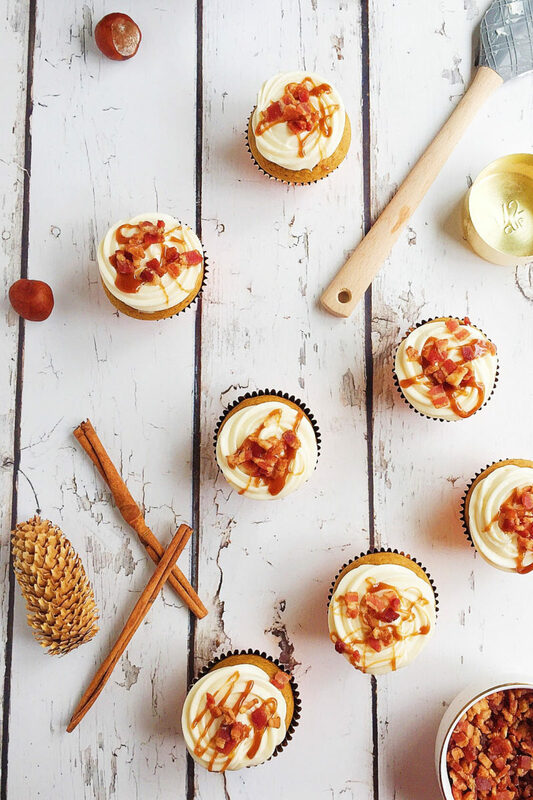 These Maple Bacon Pumpkin Cupcakes are a fun twist on a fall treat. 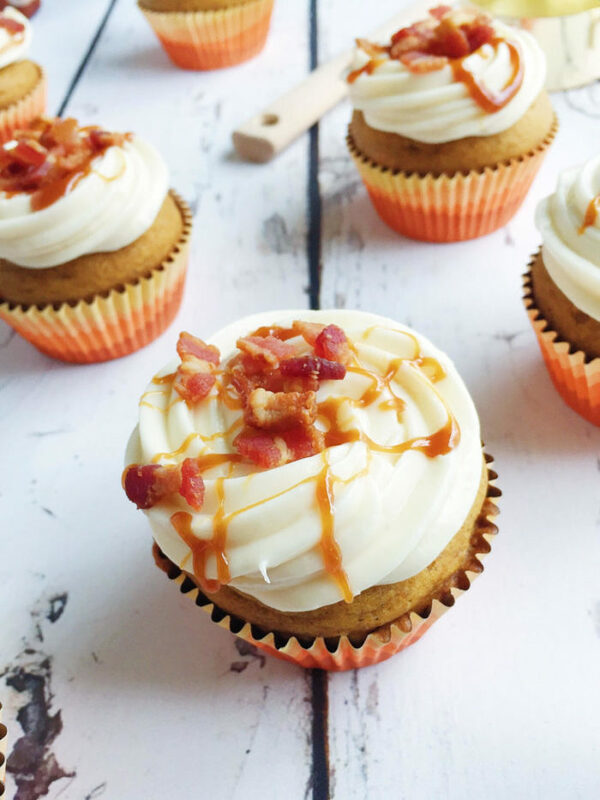 Moist pumpkin cupcakes, made with bacon fat, get frosted with decadent maple cream cheese icing and topped with salty, crisp bacon. 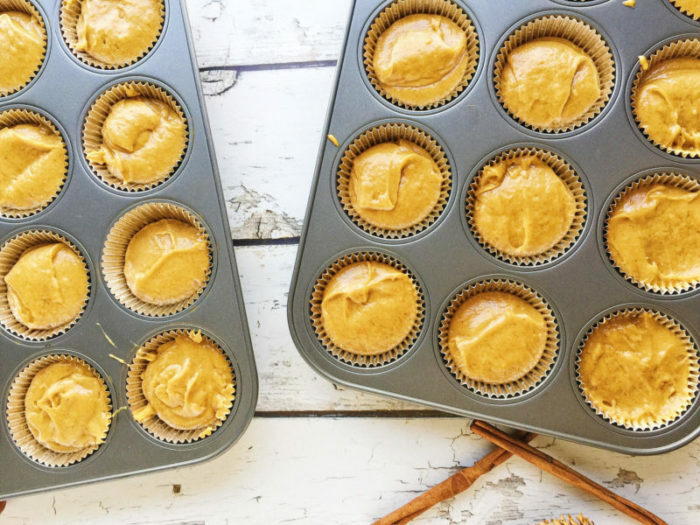 It’s still November, so it’s still safe to make as many pumpkin-flavored things as I desire. 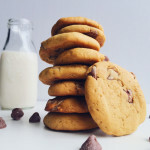 Brown Butter Dark Chocolate Pumpkin Cookies. 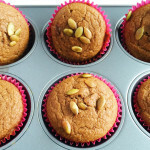 Dairy-free Coconut Oil Pumpkin Muffins. 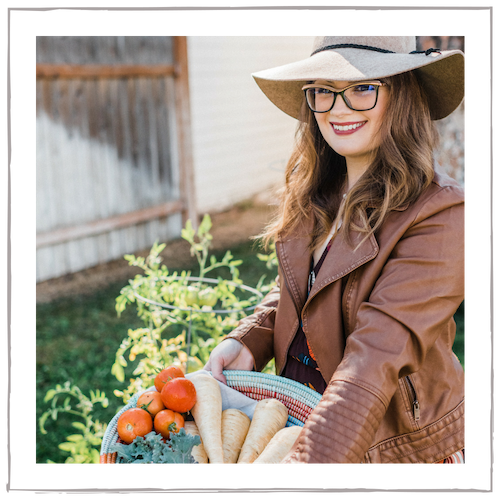 Most bloggers are moving on to Christmas recipes by now, but I can’t quite yet. I’ll think about Christmas after Thanksgiving. Until then, it’s all pumpkin, stuffing, sweet potato, turkey, maple, pecan, cinnamon, gravy-goodness. I actually made these cupcakes a few weeks ago for a neighborhood potluck party. I know absolutely zero of my neighbors since we just moved in 2 months ago, but let me tell you. 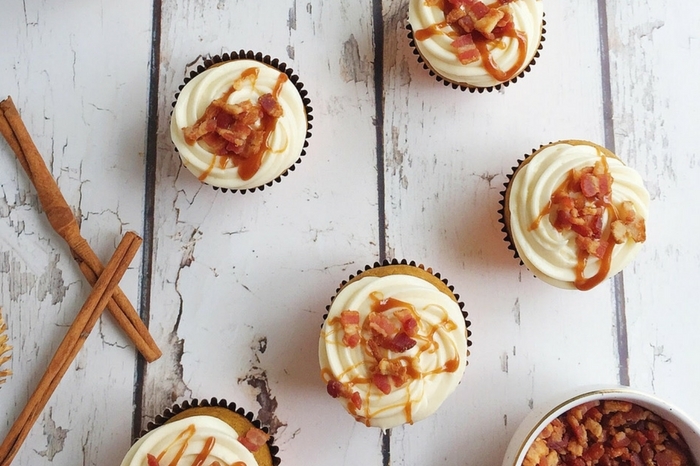 These maple bacon pumpkin cupcakes are a sure way to make friends. Maple and bacon are a perfect combination. But why only use bacon as the crispy topping when you can use it as the fat in the cake batter, too? Well, that’s exactly what we did! 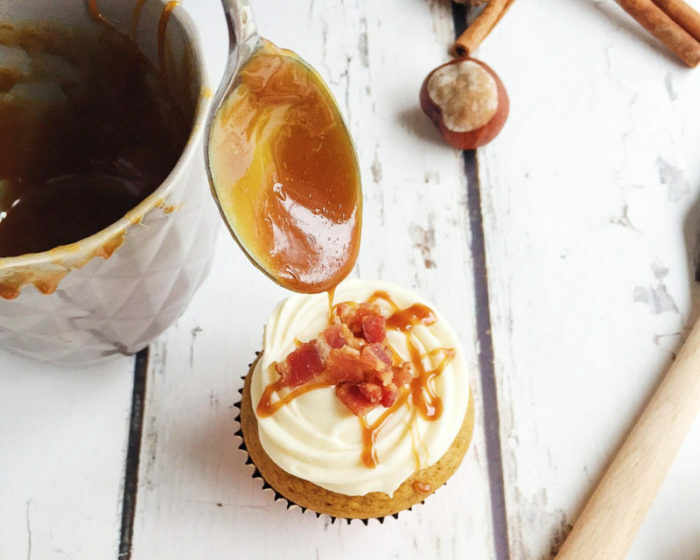 And topped with a not-too-sweet maple cream cheese frosting, bacon bits, and a bit of salted caramel? 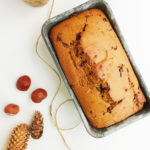 So potluck/Thanksgiving/special occasion/Tuesday afternoon worthy. These would be a really fun addition to your Friendsgiving this year! 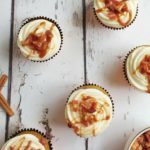 Pumpkin pie is delicious and all, but these sweet-and-salty maple bacon pumpkin cupcakes are a great Thanksgiving dessert table twist. 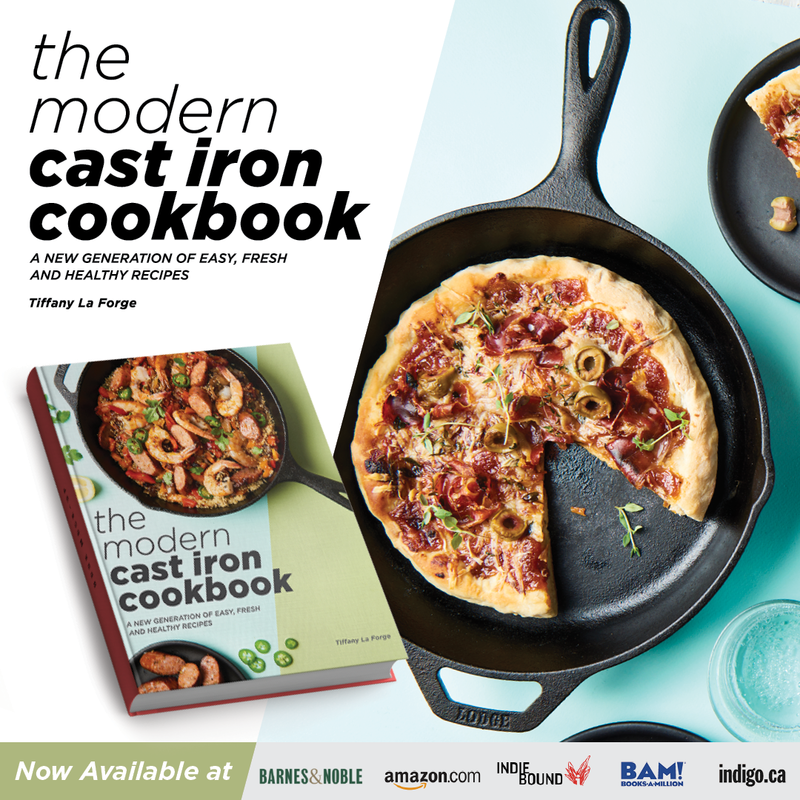 Make sure to use thick-cut bacon for this recipe. Twelve ounces of thick-cut bacon yields 1/2 cup of bacon fat, which is what you will need for this batter. Cook the diced bacon in a hot skillet until cooked through and crispy. Remove the bacon with a slotted spoon onto paper towels and let the bacon fat cool a little. Measure 1/2 cup of the bacon fat. Place the crispy bacon aside. Preheat the oven to 350 degrees. 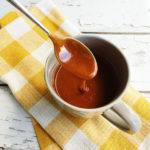 In a large bowl, combine all of the dry ingredients (flour, spices, baking soda, baking powder, and salt) and whisk well. In a separate, large bowl, combine the eggs with both of the sugars, the bacon fat, and the oil. Whisk well until combined. 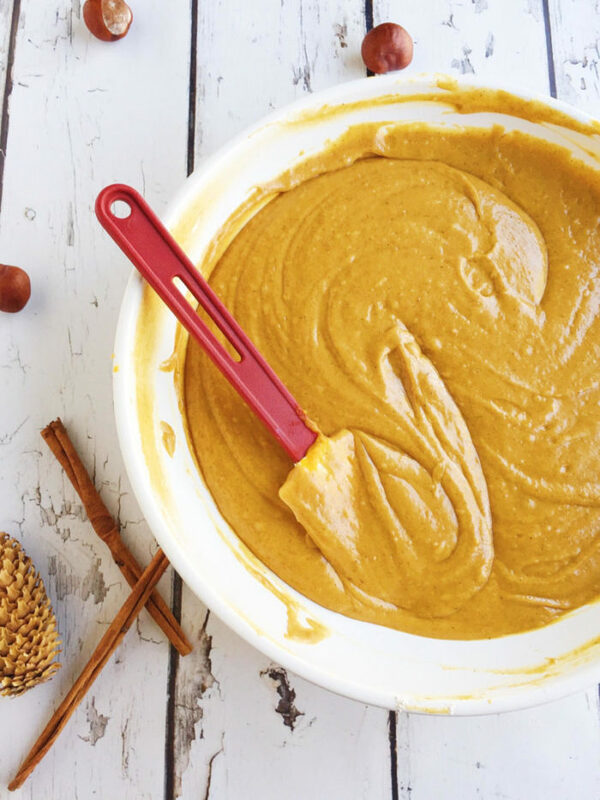 Whisk in the pumpkin puree and vanilla until thoroughly combined. Add in the dry mixture, alternating with the milk, in 3 additions. Stir until just combined, being sure not to over-mix the batter. Spoon the batter into baking cups about 3/4 of the way full. 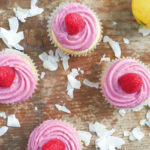 This recipe will make about 28 cupcakes. Bake the cupcakes for about 18-22 minutes, until a toothpick inserted in the center comes out clean and the tops spring back when touched. Rotate the cupcake trays half-way through for even baking. In a standing mixer, beat the room temperature butter with the paddle attachment until fluffy and soft. Add in the room temperature cream cheese and beat until combined. (It’s very important all ingredients are room temperature for cream cheese frosting to ensure there’s no lumps.) Add in sifted powdered sugar, vanilla, and maple syrup. Beat until smooth. Store in the refrigerator until needed. Pipe the cream cheese frosting on the cupcakes and top with the bacon. 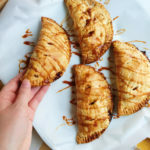 Top with salted caramel sauce, if desired, and a sprinkle of cinnamon and/or nutmeg. The flavors go great with one another. Can’t wait to bring these to friends and family!! All you had to say was BACON!! This is such an awesome flavour combo….I know it would be hard to only eat one. I dont eat bacon. But this recipe looks delish and my kids will love it. 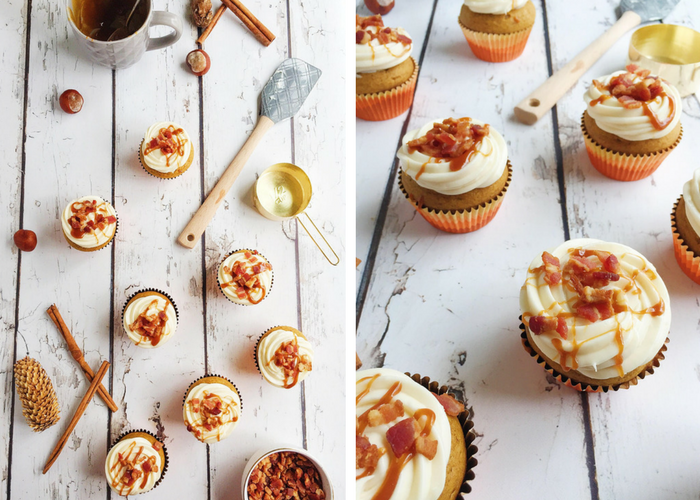 Maple and bacon sounds like the most amazing topping for these cupcakes! I am in LOVE with these! 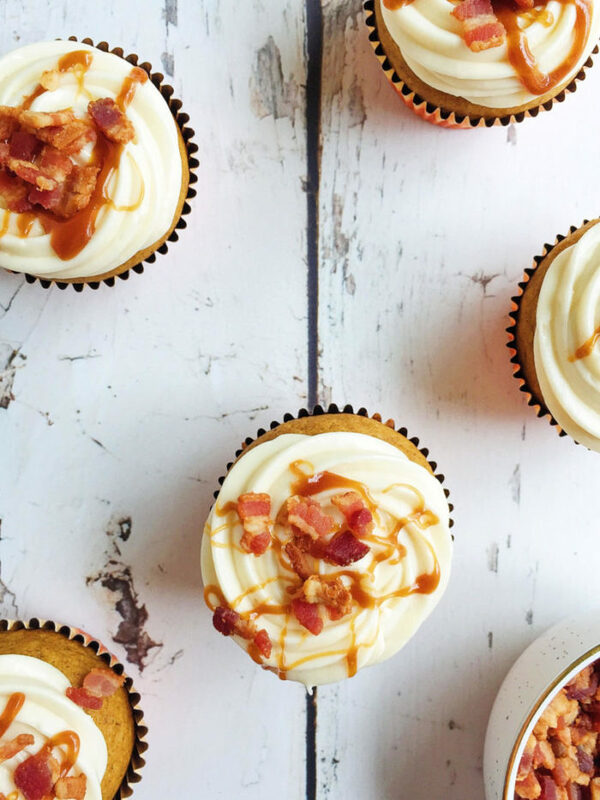 Oh my goodness gracious me, bacon on a cupcake! Swoon! Love the bacon on top of the frosting! Sweet and savory!